No order volume discounts are granted for this article. * incl. VAT, additional shipping costs. 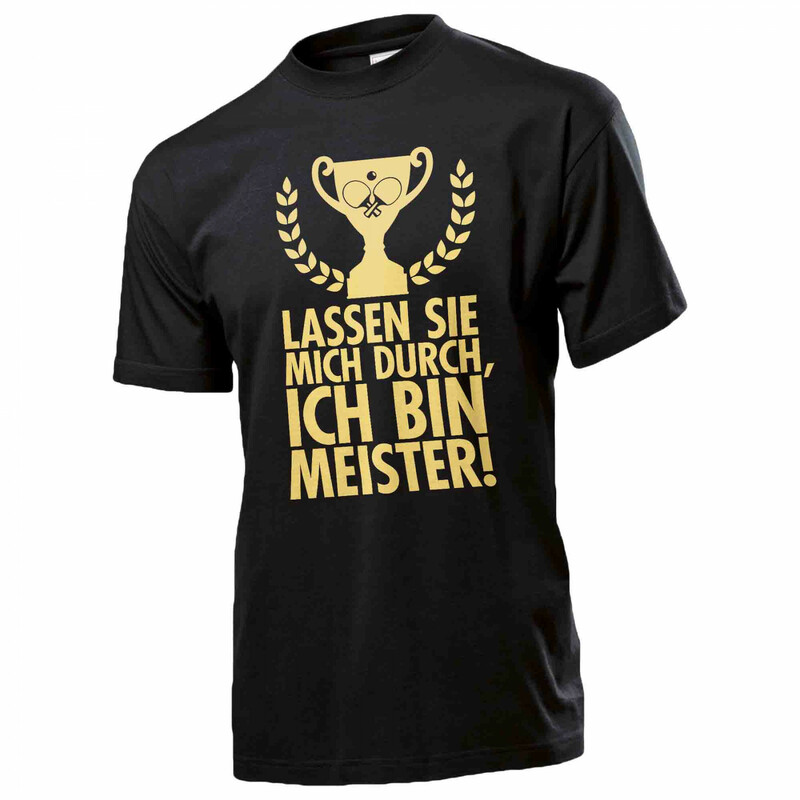 Text: Lassen Sie mich durch, ich bin Meister! * These discounts are only granted when ordering online! 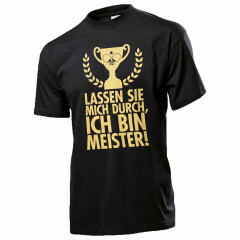 Fun Shirt Durchlassen is beeing added to cart. By subscribing to our newsletter, you agree that your data, such as the e-mail address, will be stored. Your data will then be processed on the basis of your consent in accordance with Art. 6 para. 1 a) GDPR. All prices in Euro (€) incl. VAT, additional shipping costs. 1 Free shipping for end customers within Germany above invoice value of 75 EUR and international above invoice value of 250 EUR . 2 Discount levels do not apply for group buyers or customers with appointed conditions, books, dvds, TT-tables, borders, large appliances, TT-robots, test sets, complete bats, special sales and not listed table tennis brands. Discount levels are mutually exclusive. Only one discount level will be granted.